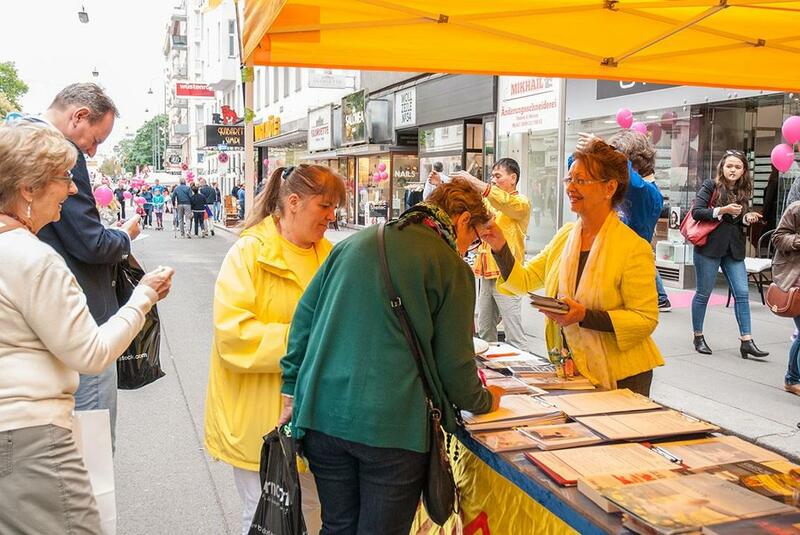 Practitioners demonstrated the Falun Gong exercises, distributed origami lotus flowers, and collected signatures on a petition calling for an end to organ harvesting atrocities in China. Many people showed their support for practitioners' work and signed the petition. A young Austrian man became very interested in Falun Gong and wanted to learn the exercises. He was happy to get detailed information about group exercise sites in Vienna. A teenage girl and her younger brother did the meditation with the practitioners. The sister asked what lotuses stood for. 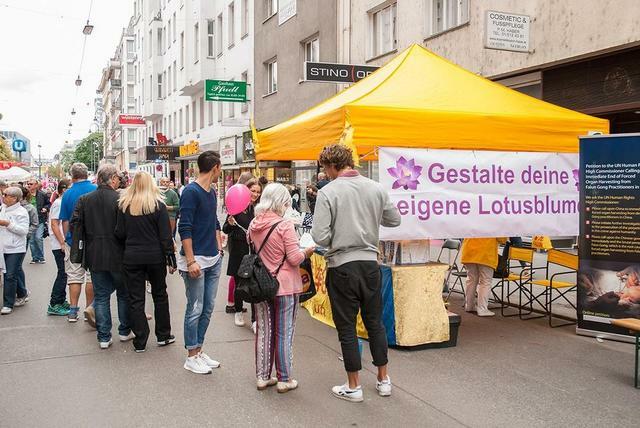 A practitioner told her that the lotus flower symbolizes purity and beauty and that the three words below the lotuses, Truthfulness, Compassion and Forbearance, were the principles of Falun Gong. The girl said it would be wonderful if everyone followed these principles!